Ray Acheson is the Director of Reaching Critical Will, the disarmament programme of the Women's International League for Peace and Freedom (WILPF). NEW YORK, Mar 6 2015 (IPS) - Five years after the adoption of the NPT (Nuclear Non-Proliferation Treaty) Action Plan in 2010, compliance with commitments related to nuclear disarmament lags far behind those related to non-proliferation or the peaceful uses of nuclear energy. 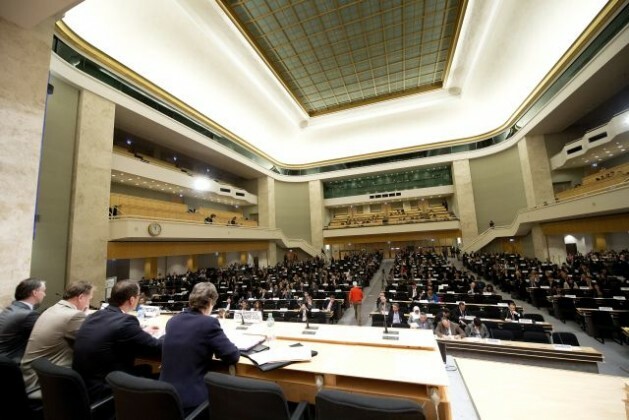 States and other actors must now be willing to act to achieve disarmament, by developing a legally-binding instrument to prohibit and establish a framework for eliminating nuclear weapons. This year, the year of the 70th anniversary of the U.S. atomic bombings of Hiroshima and Nagasaki, is a good place to start.